Volkswagen owners are a tight-knit group of people who value quality cars at an affordable price. The cars that are made by this company have been satisfying car owners since the 1960’s. This car company is headquartered in Wolfsburg, Germany. Volkswagen is the largest German auto maker, in addition to being the 3rd largest automobile company in the whole world. Consumers absolutely love this care for its performance, handling and safety. There is a reason why Volkswagen has 3 models of cars which rank in the top 10 list of best-selling cars of all time. The concept and manufacture of Volkswagen cars began in the 1930’s. During the 1930’s, German cars were considered luxury cars, and many were unattainable by people who earned average incomes due to their high price. This prompted the German auto manufacturer to develop a more affordable car for the public. British service personnel helped to popularize the now well-known Volkswagen Beetle. This is due to the fact that they were allowed to take their cars back to the United Kingdom after their service was complete. However, the most important era in Volkswagen history began in 1948. In 1948 the Volkswagen brand became an important aspect of the culture of Germany, and the country’s mission to bounce back following World War II. Volkswagens were first exported and sold in the United States in 1949. Eventually volkswagen took hold in the United States, when Volkswagen of America was formed in 1955. The creation of Volkswagen of America helped to launch the popularity of one of the company’s most famous cars, the volkswagen Beetle. Production of this model reached the 1 million mark in 1955. This car is still widely viewed as being one of the most reliable and affordable cars on the market today. The success of volkswagen really began to take off from the mid-1970’s until the early-1990’s. 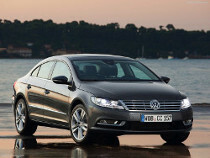 This is due to the introduction of new models of cars such as the Volkswagen Golf, Scirocco Coupe, Jetta and Caddy. The Volkswagen Golf really set the standard for the performance expectations of their engine. This engine is widely considered to be the best, and as a result, the engine has been used in subsequent Volkswagen models. Once you have achieved a great product, you must be able to replicate that product to meet consumer demand. Volkswagen recognized this, and made sure that this reliable engine was available in multiple models. Volkswagen sales from the 1990’s to present day have steadily increased, especially within the United States. The new generations of the Jetta, Golf and Passat models, have substantially increased overall sales. In addition to these models, the new generation of the Beetle helped to popularize the car manufacturer once again. Its compact, fuel efficient design makes it a perfect car for traveling to work or around town. From when Volkswagen was born during war time, to its exceptional growth in manufacture and sales through the 1990’s, this car company remains the standard bearer for what other car manufacturers can hope to achieve.